Does this pin speak to you like it does me? 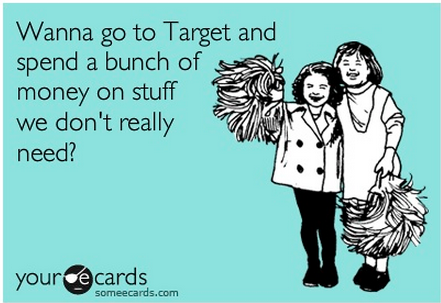 Can you pass by the Dollar Spot without putting a few things in your cart? Me neither! One of my all time favorite finds at the Dollar Spot was the mini-pocket chart. These are small and can be used a wide variety of ways. You can make a simple job chart with these. I made this job chart for my friend Sandy, a 6th grade teacher. She teaches 2 sections of 6th grade. Space was limited so she didn’t want 2 job charts. On the labels are students’ names and numbers. 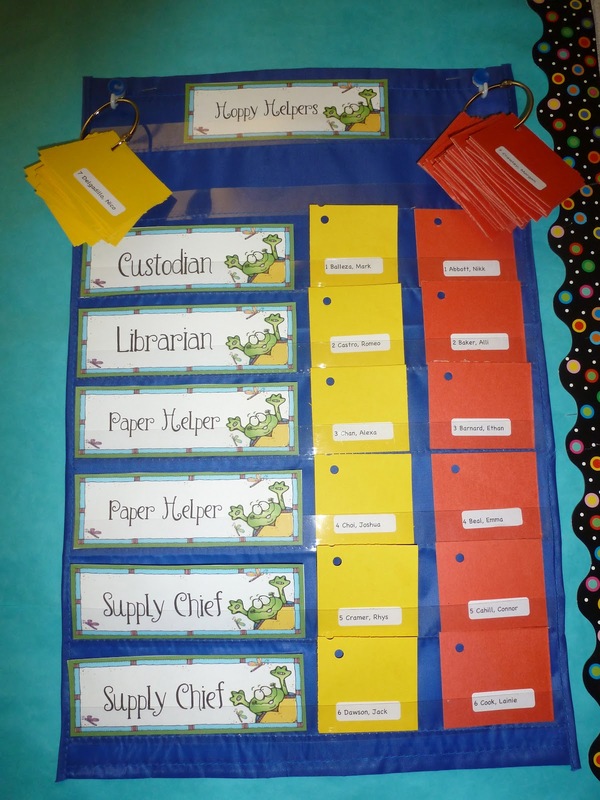 The yellow cards are students in her A.M. class and students in her P.M. class are on the red cards. Students’ cards are kept in numerical order on the ring at the top of the picture. At the beginning of the year, students #1-6 are put on the chart. The following week, all the cards are moved down one row and #6 is put on the back of the ring. #7 is put on the top row. The following week all of cards are moved down one row. #5 is put on the back of the ring and #8 is put on the top of the row. This pattern continues throughout the year. 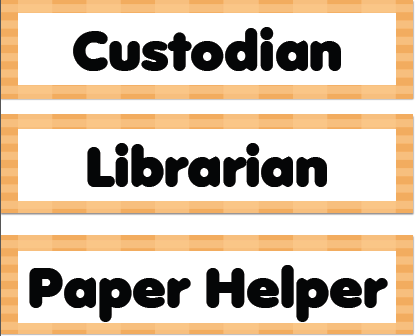 You don’t have to keep track of which student has done which job. Students don’t complain about not doing a preferred job because they know eventually it will be their turn. 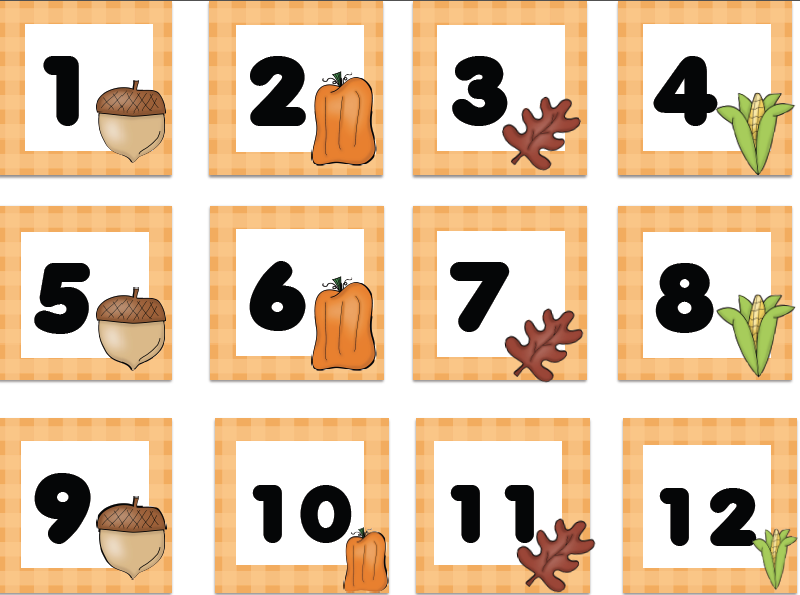 If you wanted to add a little seasonal fun to this chart, you could assign each student a number and then use seasonal calendar numbers instead of colored cards with labels. You can also use this system for your centers or stations. 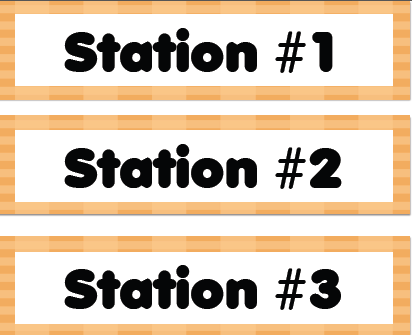 Here are some signs for your stations and job chart. Click HERE to download. You can also click HERE to download number signs. I love your job chart idea of just moving the names down. I found it on pinterest. I was looking for a new idea for my 2nd grade classroom and this fits perfectly! Thanks for sharing! I'm going to check out your other ideas soon.